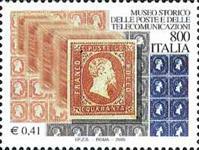 This Virtual Collection presents the wonderful topic of “Stamps on stamps”. Thanks to all of you who take the time to email me with new issues, scans, corrections, links and suggestions. It's a continual source of inspiration for maintaining this website. The Collection is classified by Countries List. Some useful and interesting links can be found in the countries pages and in the other sections (see left menu). I started my stamps on stamps collection years ago when I tried to combine my grandfather’s transportation on stamps and worldwide collections, my father’s space on stamps collection and my own fauna and flora collection into one. The stamps on stamps were the most interesting stamps of all and I decided to concentrate on this topic, not knowing how fascinating and popular it is. Starting to look for information regarding the stamps on stamps and the identification of the stamps inside them I got to know (and later joined) the STAMPS ON STAMPS COLLECTORS CLUB (SOSCC) and many other sources of information. SO, this site is not a commercial site. Sorry, but I’m not selling anything…..It is a virtual collection of “Stamps on stamps” and of course the stamps “inside” them or the stamps they “reproduced” (regarding the “Type A”), most of the “Type SY” or “Type U” and few “Type B” (those I consider as stamps on stamps). In addition you will be able to find here some stories and lots of links to interesting sites that I found. 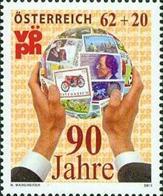 Type A – Stamp that contain (fully or partly) the original stamp (some times with modification). Type SY / U - Stamp that contain an unidentifiable form of stamp: stamp on an envelope, symbol of stamp, etc. 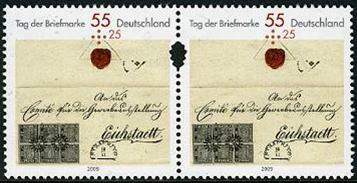 Type B – Stamp that contain something of the original design or that use the same design with modifications. 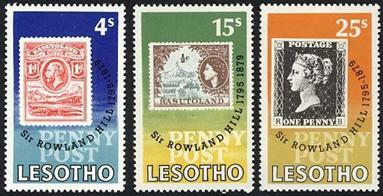 The catalogue numbers that i use are from Scott Standard Postage Stamp Catalogue unless mentioned otherwise. Other catalogues: Mi- Michel, SG - Stanley Gibbons, YT - Yvert et Tellier, MK – Minkus and H&G - Higgins & Gage (postal stationery catalogue). Dates of issued shown: DD.MM.YYYY (Day.Month.Year). 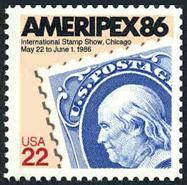 I marked stamps that i have and those i don’t… If you have an extra copy of them you willing to trade – Please email me. u Please help me keep this site updated. u If you find any mistake or lack, please help me correct it. u If you want to share some knowledge or think there is a good related link I should add - please email me. u All contributions to these pages are welcome. u The stamps displayed in this virtual collection are not all mine. They are the best I had the chance to scan or to find in website I visited (mostly countries' postal agencies and some auction sites). If you have better scans of those stamps, which you’re willing to add to this collection, please email them to me (any format is good). u Some stamps aren’t to scale - in most cases this is their fault J.
u I did my best to ensure that I’m not violate copyrights. Nevertheless, if someone find here a stamp he scanned and think I’m in anyway violating his rights, so, first of all I’m deeply sorry, don’t forget this site is not a commercial one, and if it is still a problem - please e-mail me and I will remove it immediately. u If you have any problems with these pages, please email me. u I always looking for ways to make this website a better place to visit. If you didn't find what you were looking for, or have a great idea to help me make this site better - please let me know!